It’s nine months since we broke ground. 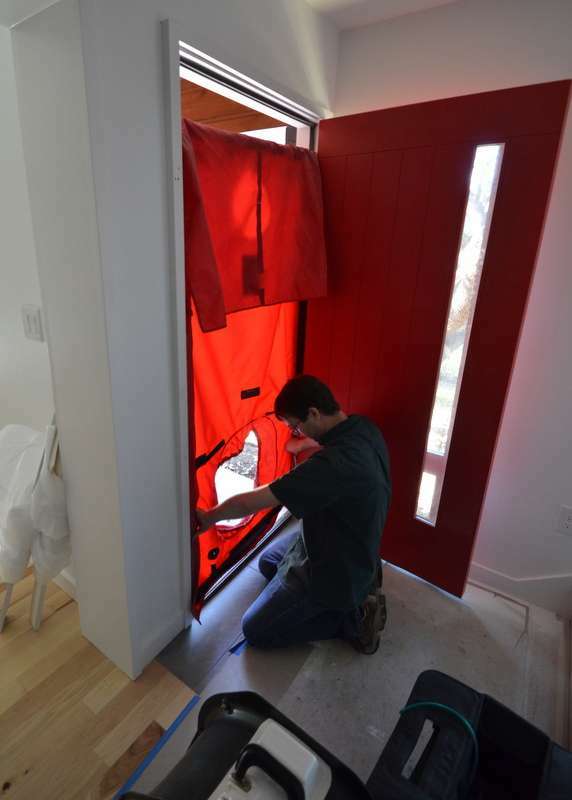 By metaphor, Ranserve today gave birth to a finished house — except for the punch list. 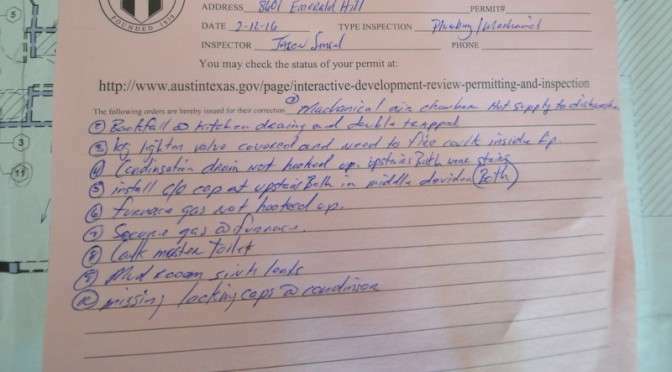 Meet Jason, inspector for the City of Austin, who today approved the final inspection. 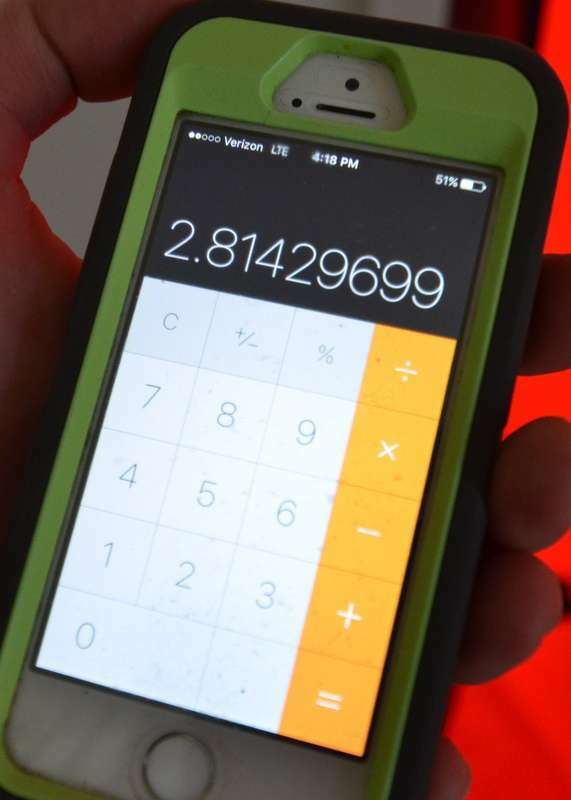 The first thing Steven did was text Ron Dahlke to tell him we passed the final — and to say thank you. Then Steven texted the news to Jacquela and Jadin. Then he emailed the news to Team Ranserve to say thank you. 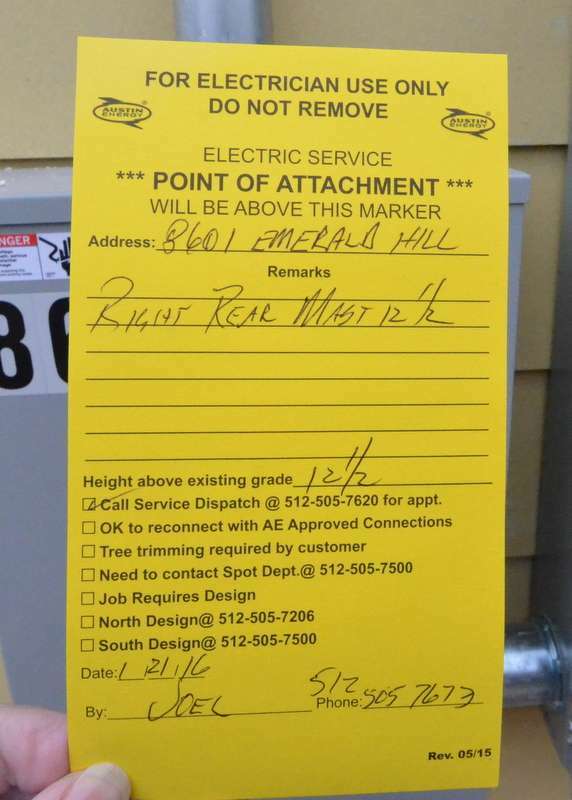 The City of Austin inspector walked Emerald Hill today. 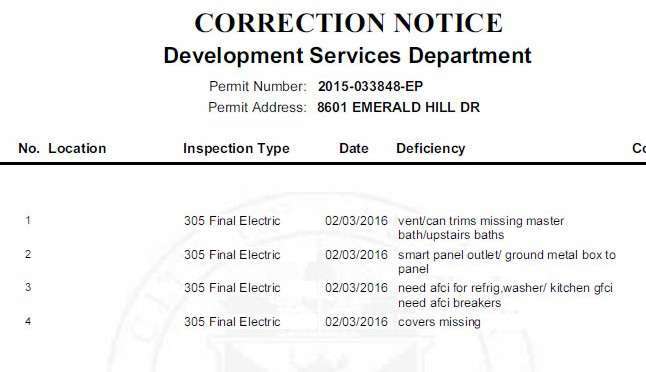 He left behind homework — a series of corrections that must be done before the City can issue a certificate of occupancy. 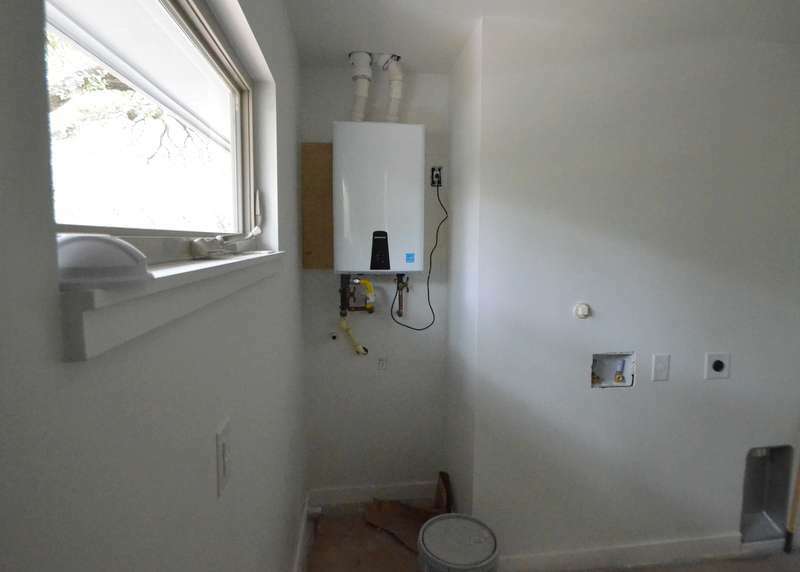 This comes as no surprise to Ron and Steven; we anticipated a punch list. 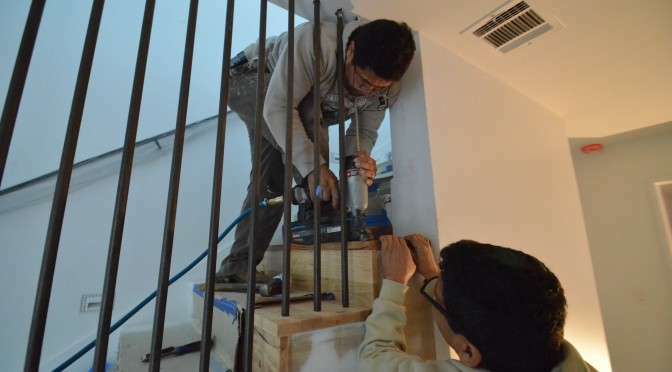 Most of the fixes are straightforward; Ron will coordinate the different subcontractors. 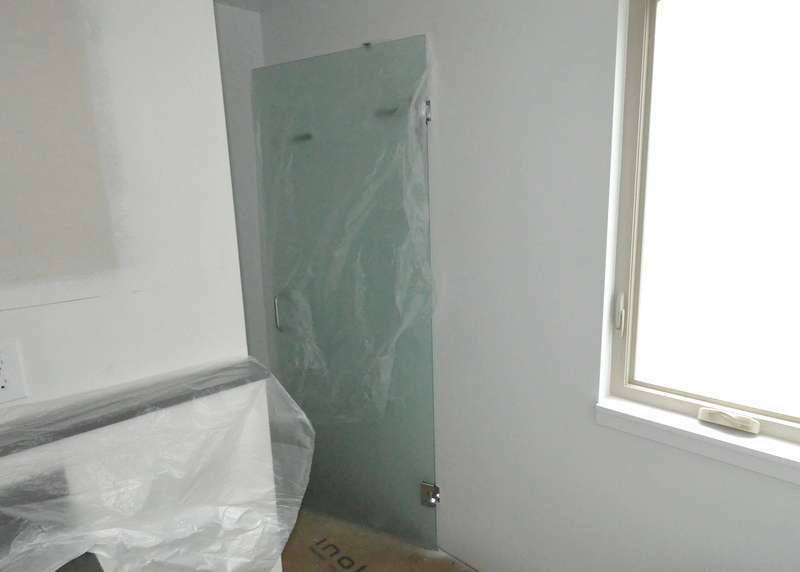 The biggest required fix — replacing the glass in the tall window in Jadin’s bedroom. 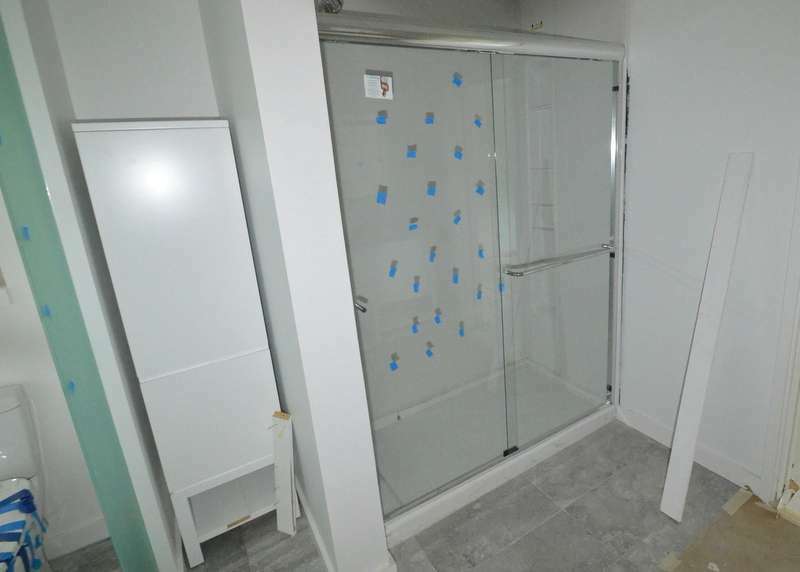 It must be tempered, not standard glass. Ron estimates this will take at least a week. 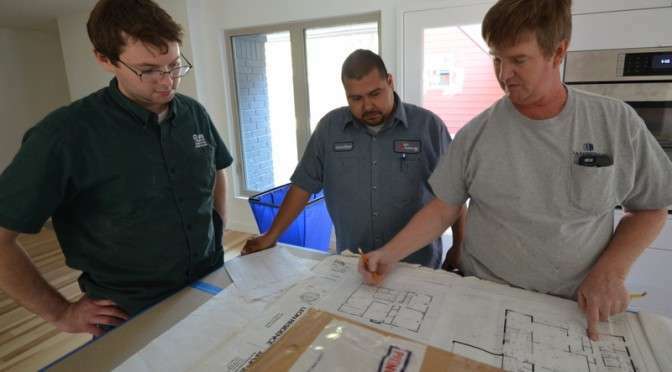 Above, Alex from ATS and Jonathan from Austin Air review the duct plans with Ron from Ranserve, in preparation for the blower door test. 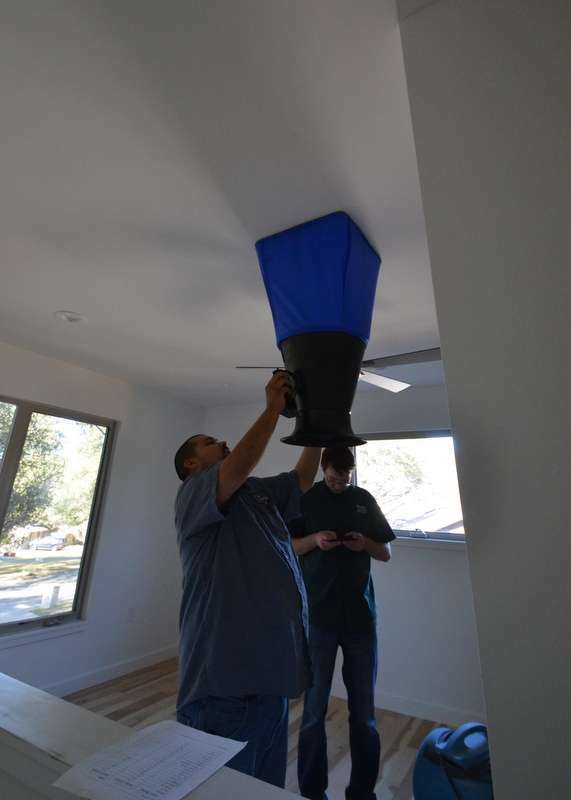 Jonathan measures airflow from the duct in bedroom 1 as part of the blower door test. Alex assembles the blower door. 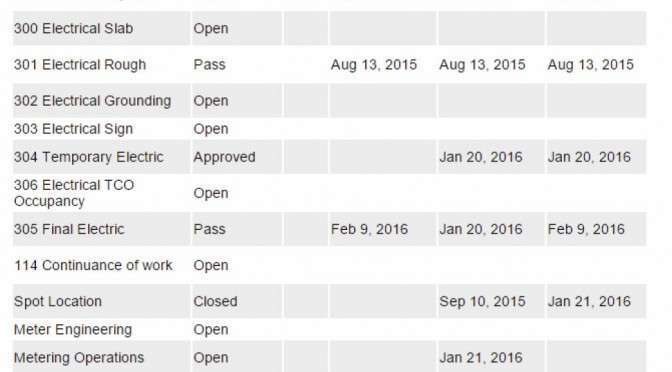 We passed! The City of Austin requires less than 5 ACH — air changes per hour. Alex and Jonathan confirm that Emerald Hill is tightly insulated and not leaking a lot of air. Ron is smiling at this measure of quality. 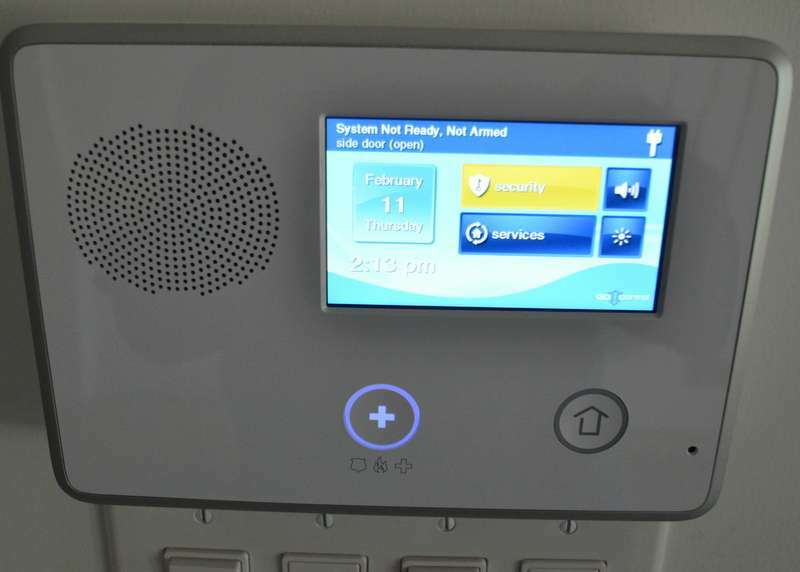 Tyson showed Steven how to configure and use the alarm system that we prewired into the house. 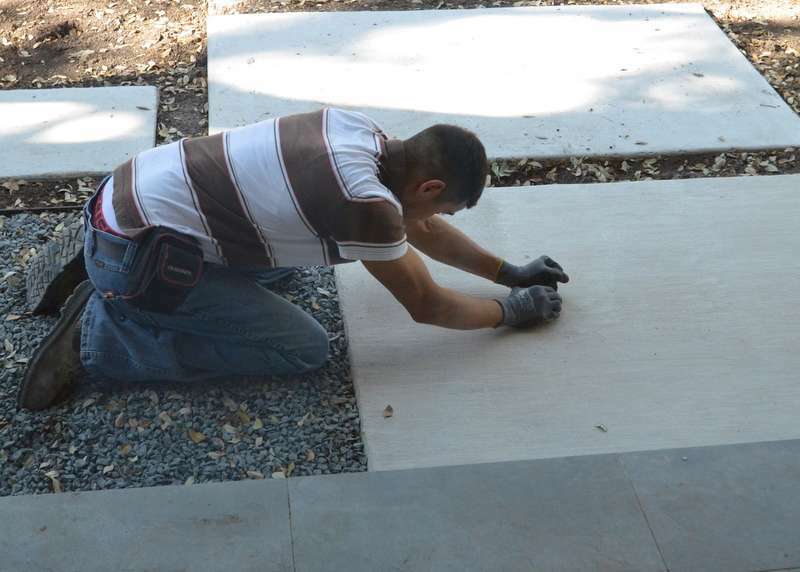 Rodriguez from Gilsa uses a chunk of concrete to grind stains off the first paver in front of the house. 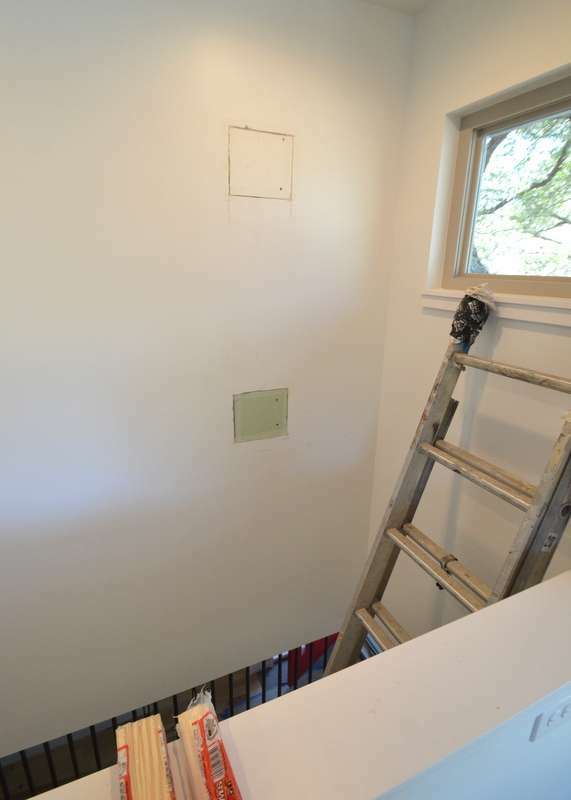 Ron and Kevin opened up the stair wall to add more blocking — needed to support the shower wand in the bathroom on the other side of the wall. 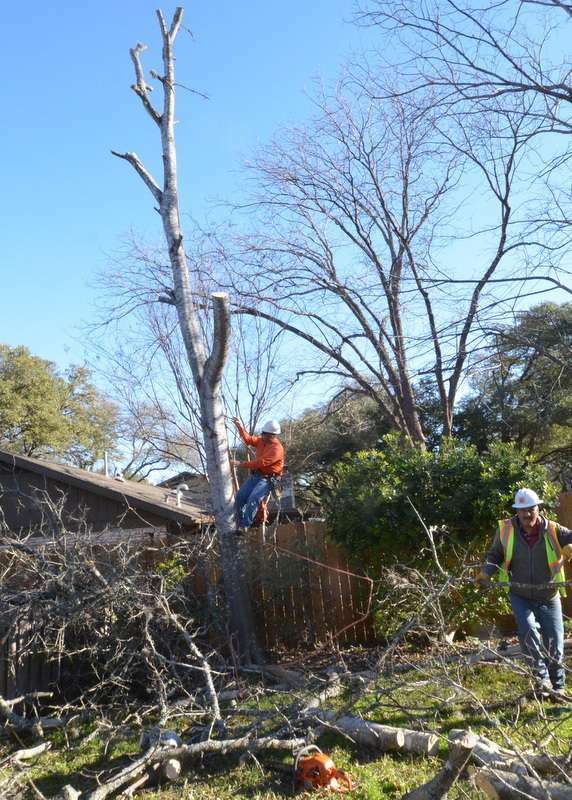 Taking out the hackberry tree that was leaning toward the house. Stripped of most branches in just 10 minutes. 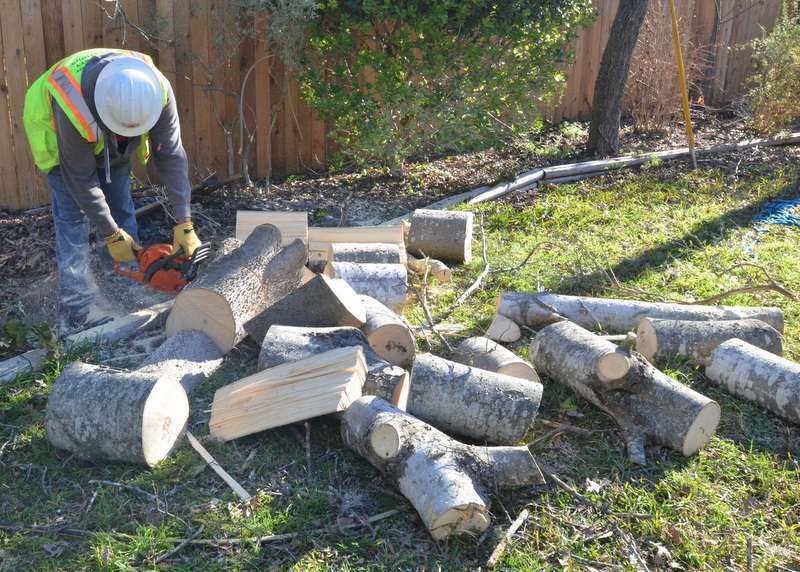 Sections of trunk cut smaller to make them lighter when carrying off to the chipper. 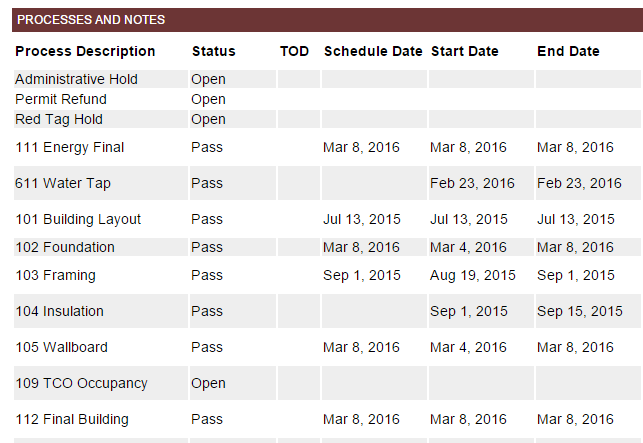 Final electrical inspection — passed! We are now set on the approach path toward moving in. Thank you to Scott, Steve, Beau and the entire electrical team at Capstone Electric. 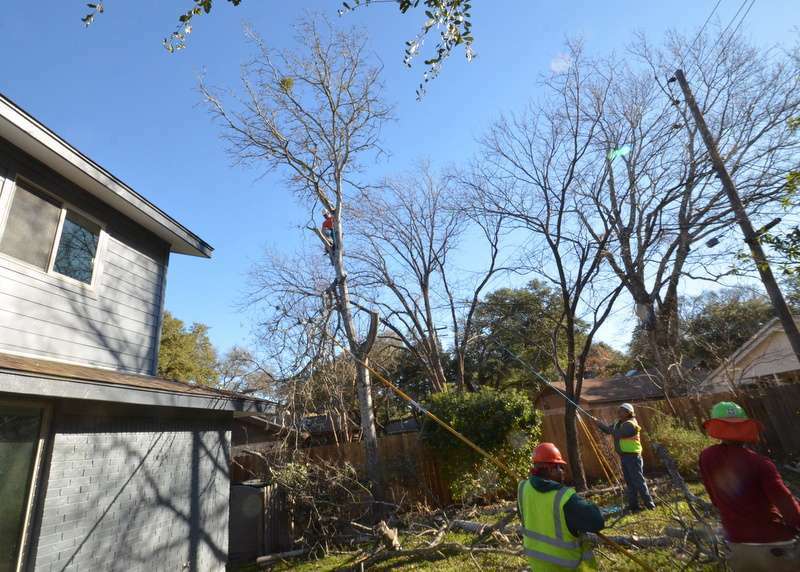 The City of Austin inspected the electrical systems and installation today for the garage and house. We almost passed. Just four corrections to make. 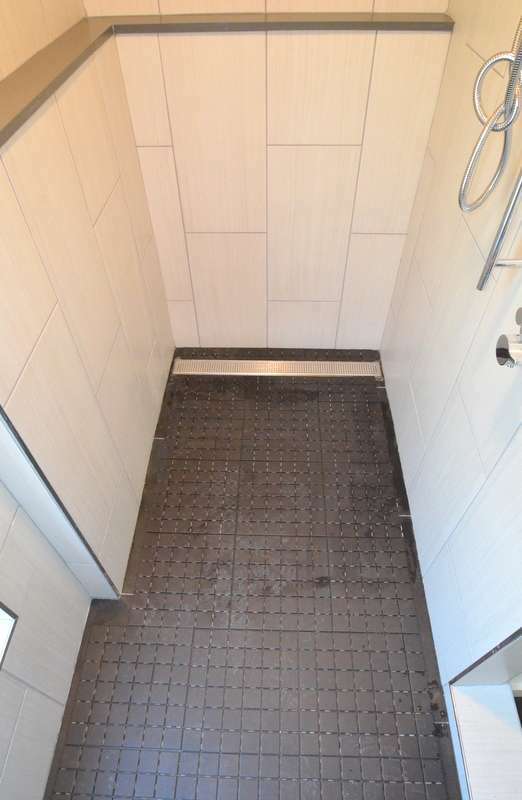 Mostly, it appears we must install the baffles and LEDs to the ceiling ventilation/lighting units in the bathrooms. That’s easy. 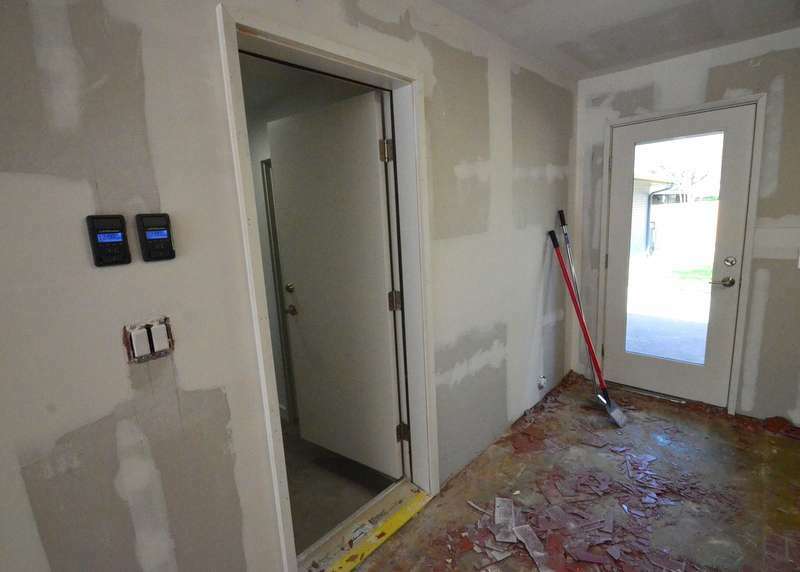 And the electricians need to install AFCI breakers — and ground the metal low-voltage system box. Mark Rehberg from Ranserve called after the inspection. He assures that nothing here is major. 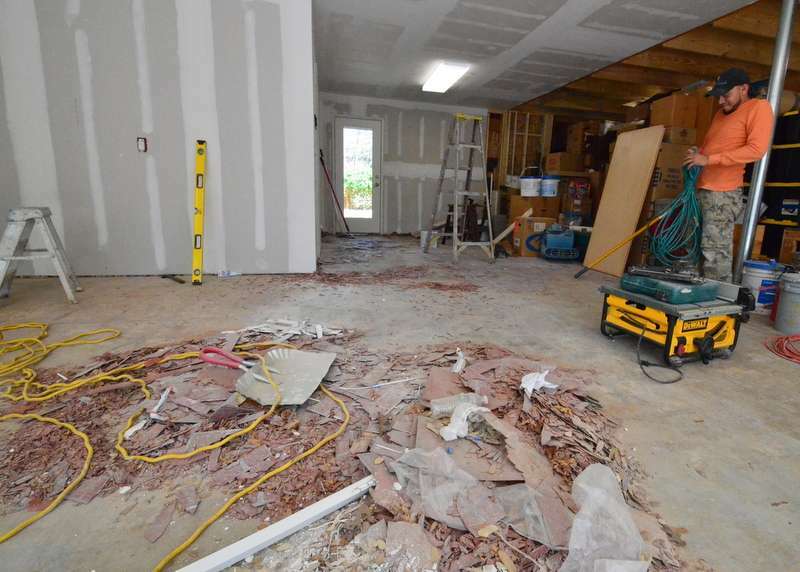 Ron Dahlke messaged in from his continuing recovery from the attack of the nearly-killer virus to report that the electricians have already been alerted. 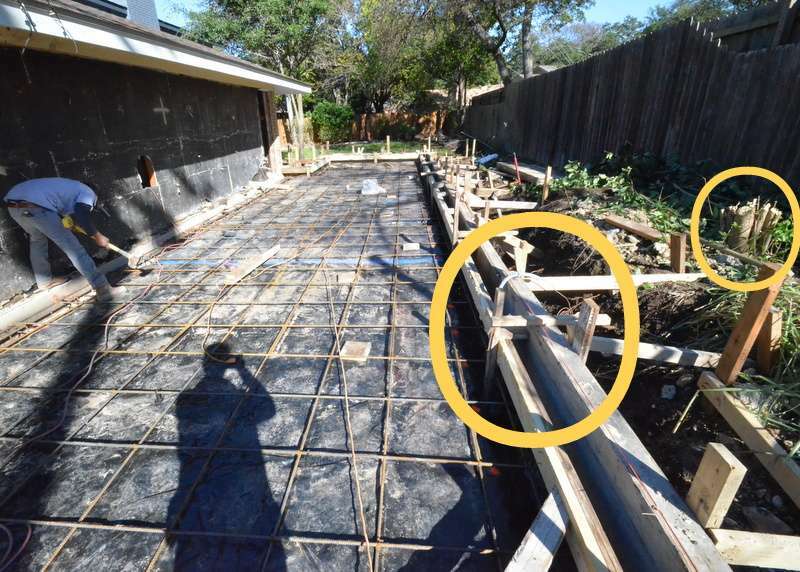 The structural engineer approved the garage foundation. 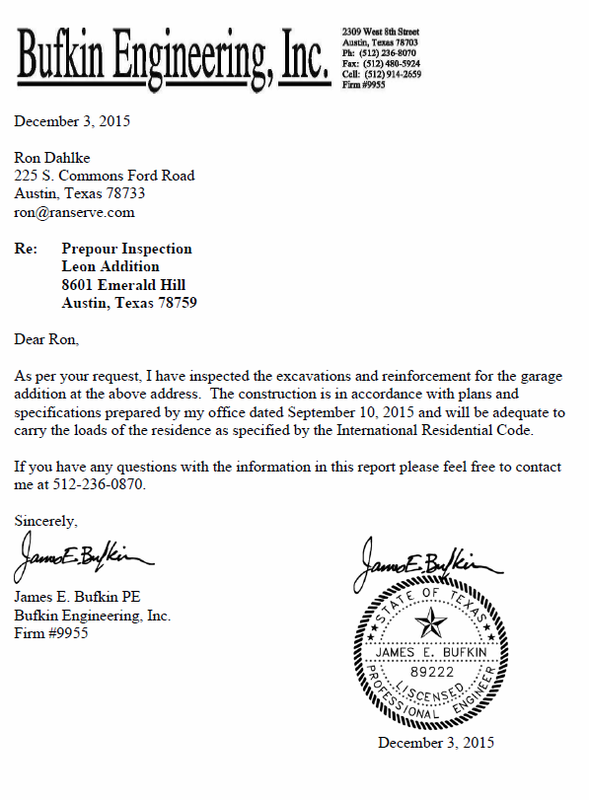 The City of Austin inspected and approved the grounding wire installed by Capstone to the garage foundation. 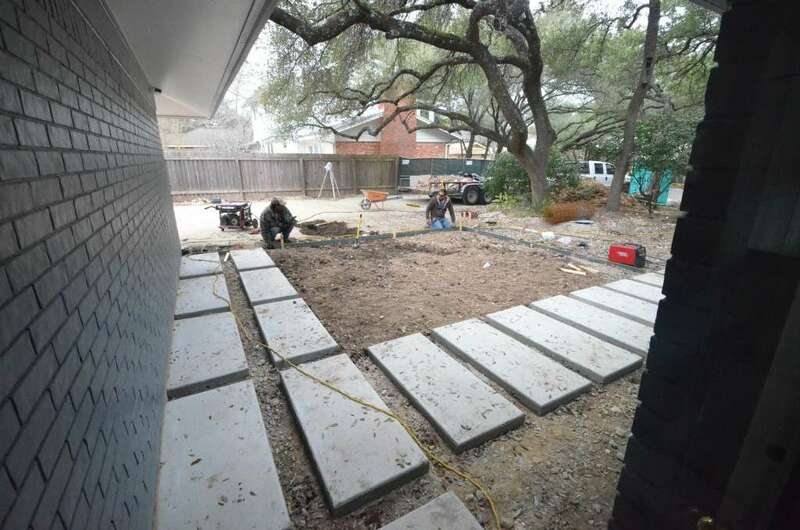 The City of Austin inspected and approved the layout and formwork for the garage foundation. Ron Dahlke schedule the concrete pour for tomorrow, Thursday, 10 December. Gilsa also deconstructed the stone walk from the front of the house and around the side to where the old kitchen deck has already been demo’d. 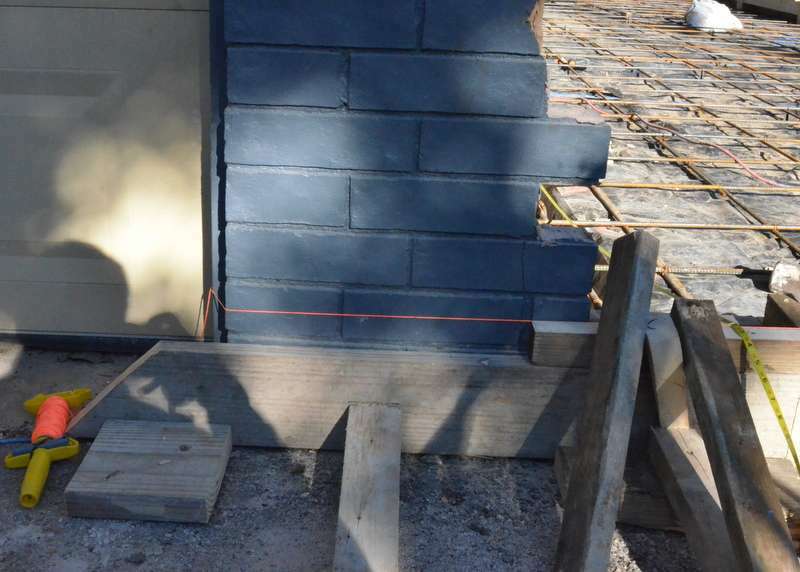 The team from Gilsa Construction progresses with the garage addition. 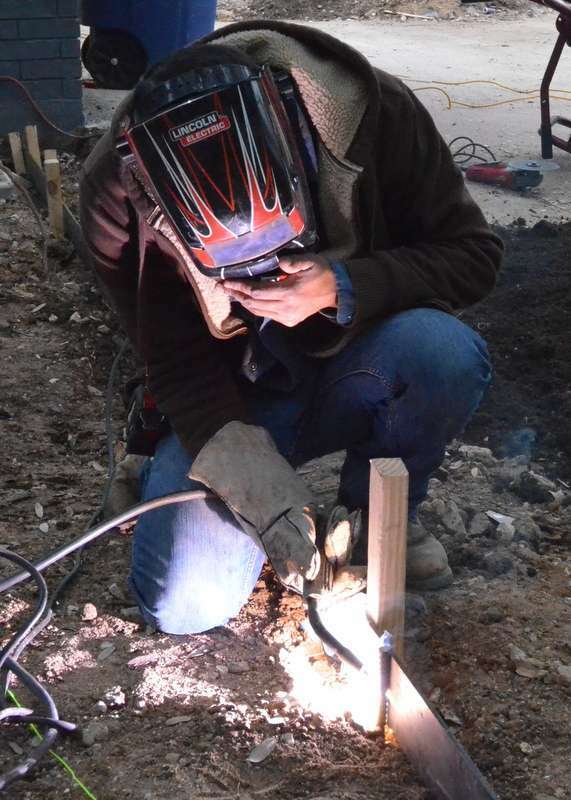 Above, using a reciprocating saw to cut through the nails and bolts, the sole plate of the back wall of the garage has been sliced free from the foundation. Next, it is braced. 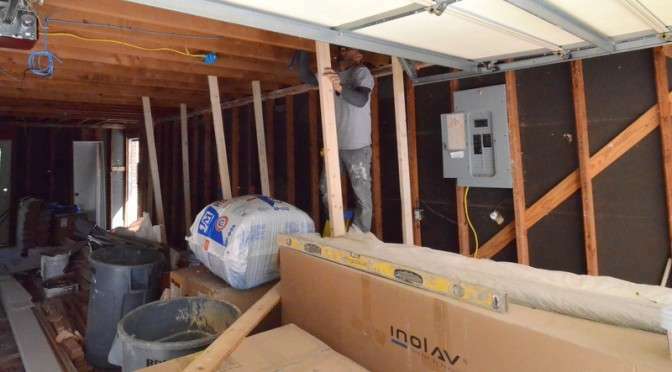 Using a sledgehammer, Gilsa shifts the back wall of the garage over several inches, supported by the braces inside the garage. 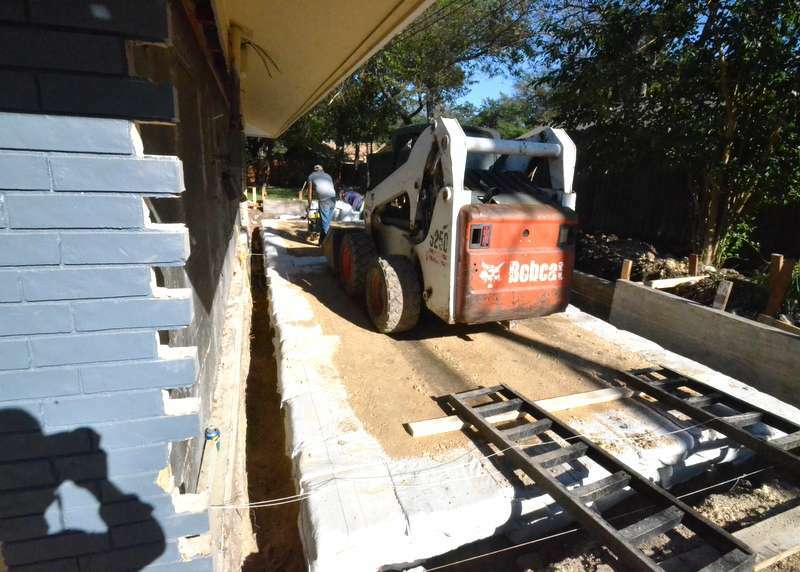 This will allow them to pour concrete level with the existing slab of the garage. The steel framework for the new garage slab is ready for inspection. 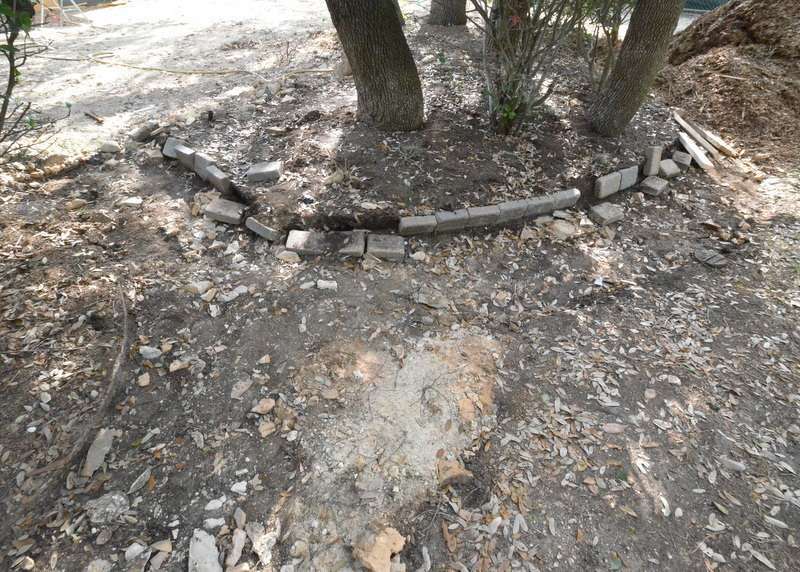 At right, the electricians installed a grounding wire (the left-hand circle), and Gilsa chopped down the shrub that was so overgrown it resembled a tree (the right-hand circle). The steelwork is ready for inspection. Also, the formwork for the foundation is nearly complete, after which it too will be inspected. 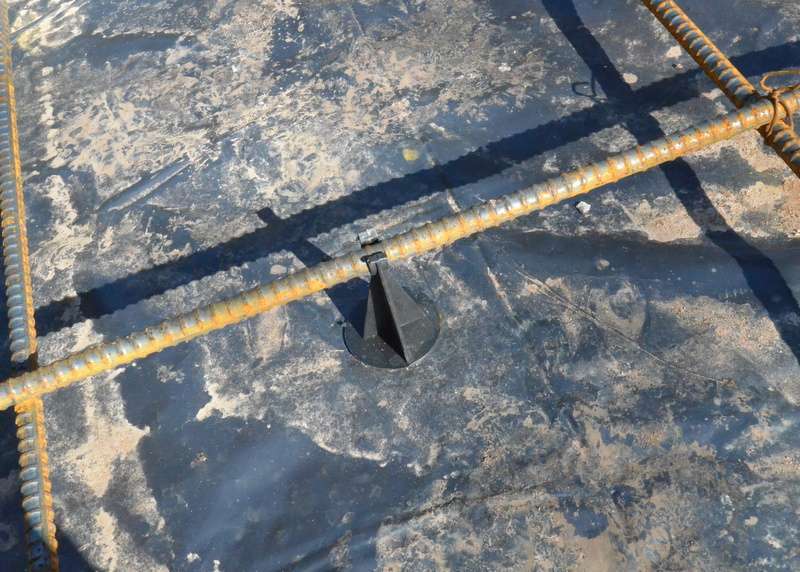 One of the plastic stands holding the steelwork off the plastic sheeting, to ensure the rebar is inside the concrete, not under the concrete, when the concrete is poured. 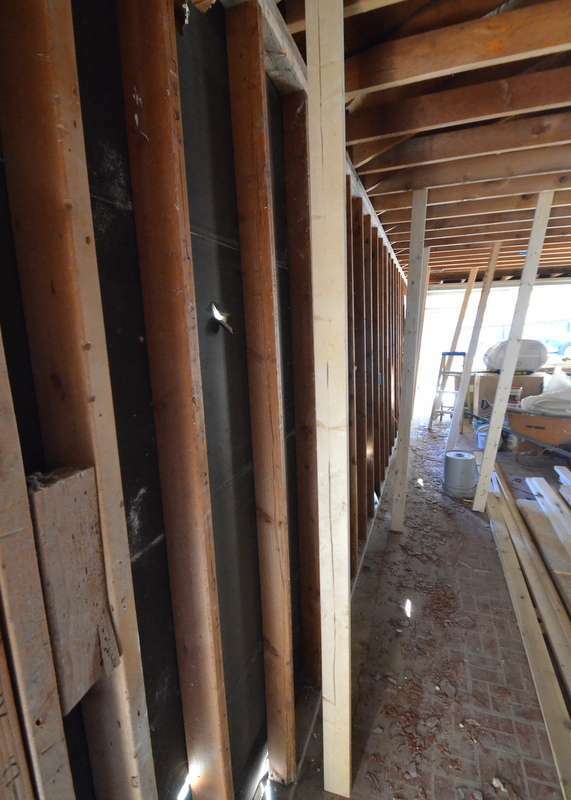 After whacking with a sledgehammer, the back wall of the garage leans against the temporary braces. 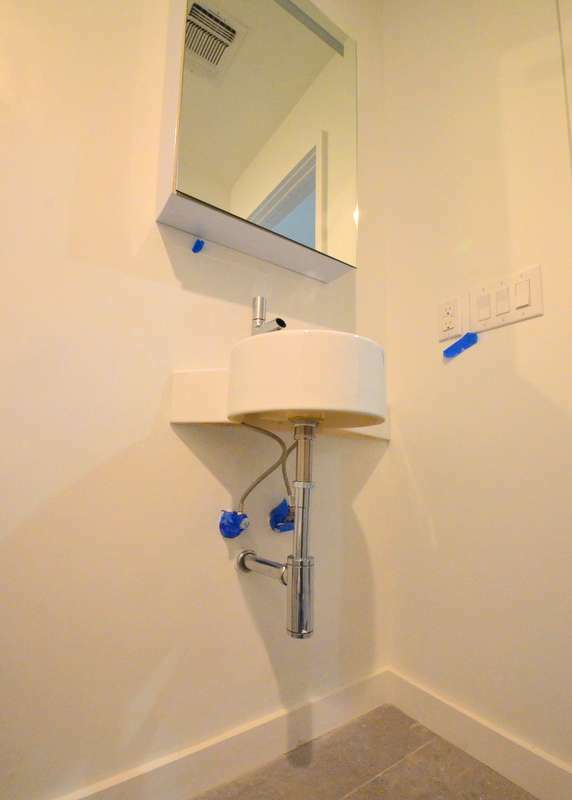 The wide-angle lens distorts perspective, but the footing of the wall is now offset 3 to 4 inches from the top plate. 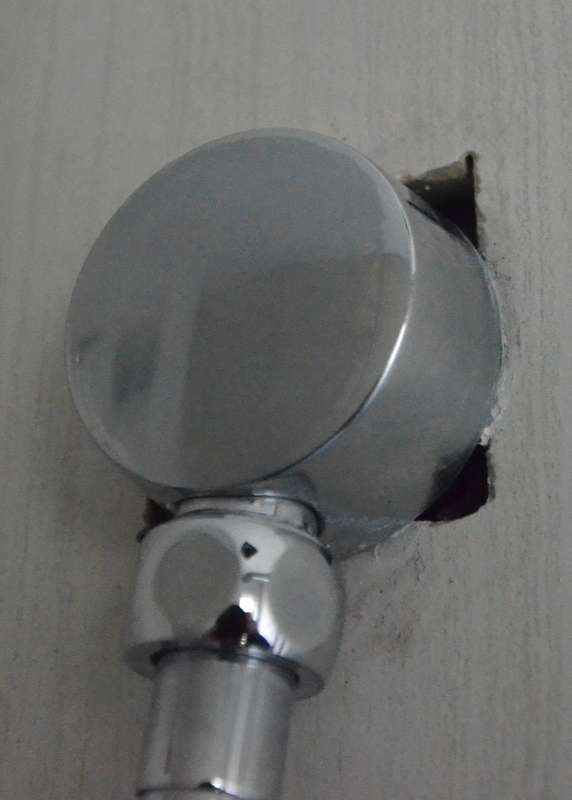 Another way to see the lean of the wall. 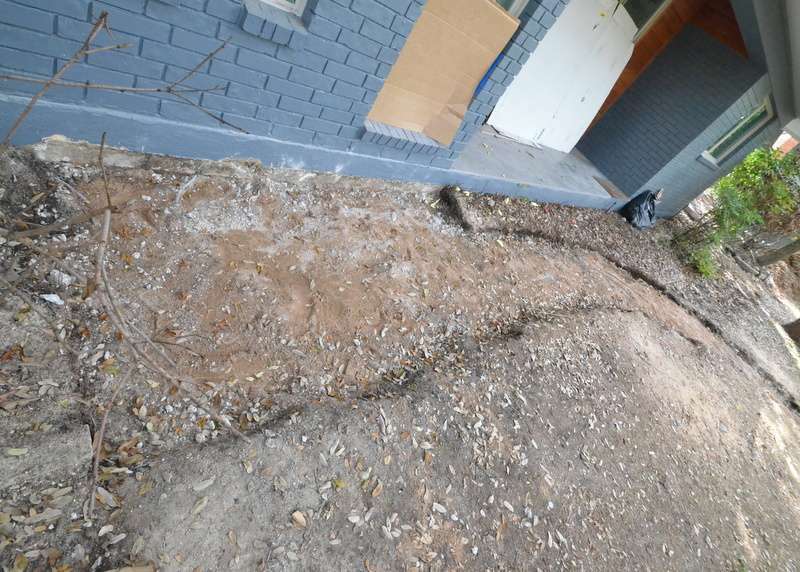 The red string line is level, but the bricks at left are now about 1/4-inch higher than the bricks at right. 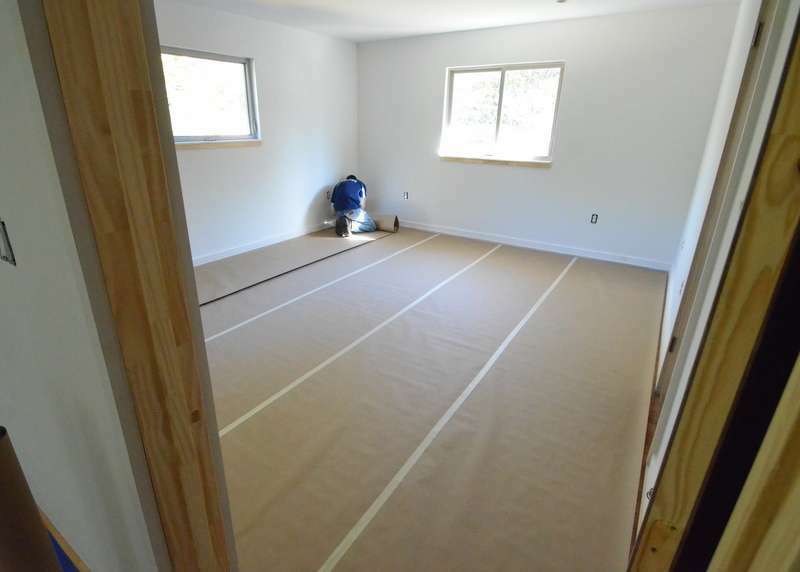 Inside and upstairs, Kevin Rehberg from Ranserve continues to protect all the floors with heavy construction paper. Why? The painters are coming. 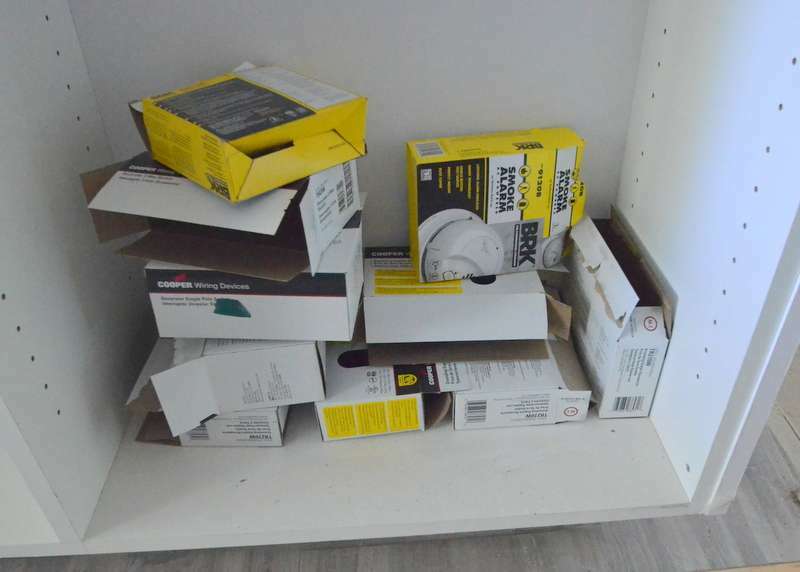 The electricians came by to install detectors and switch plates, leaving behind a pile of boxes. 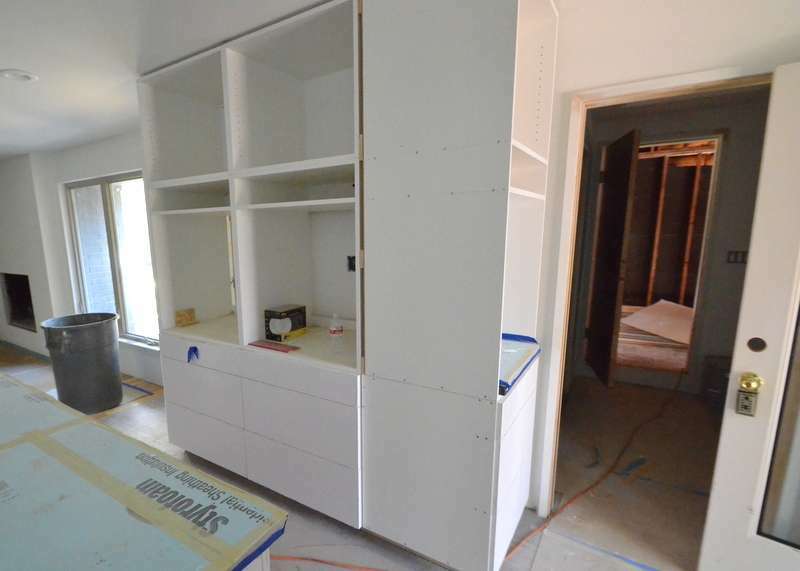 In the kitchen, Central Texas Custom Cabinets continues to install drawer fronts to the cabinets. Steven visited Emerald Hill three times today while also working from his desk computer and by phone — at 10 am after dropping off Jadin at school, at 2 pm to meet with Ron and before meeting with Renee at ProSource to select tile for the kitchen backsplash and master shower floor, and again at 4 pm after leaving ProSource and before Jadin “walked home from school.” Here are photos from the evolving day. 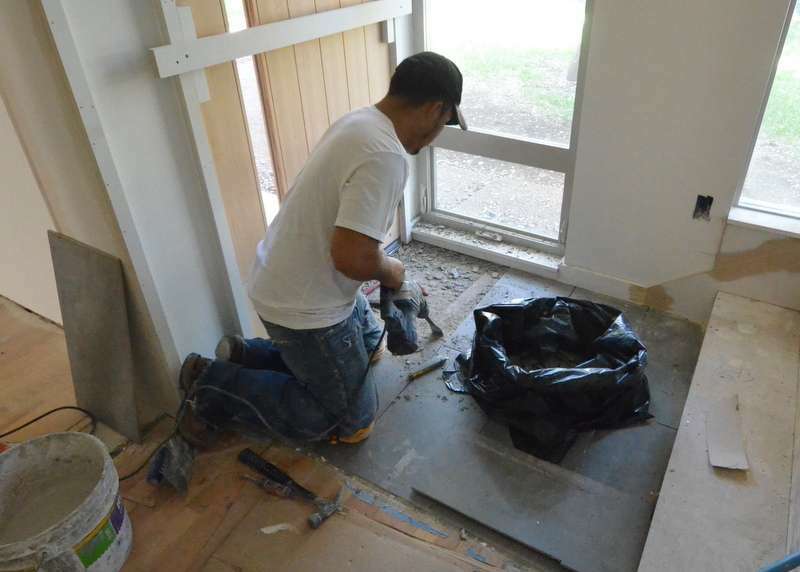 During the 10 am visit, Julian is hammering out a concrete tile at the entry that was damaged during construction — to be replaced. 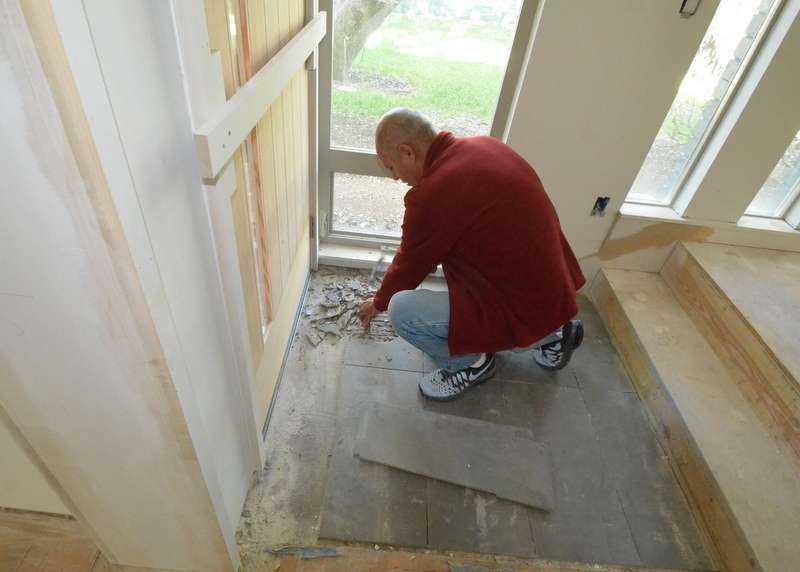 Testifying to the quality of work done by the tilesetters, it took an electric jackhammer to chip out the tile. 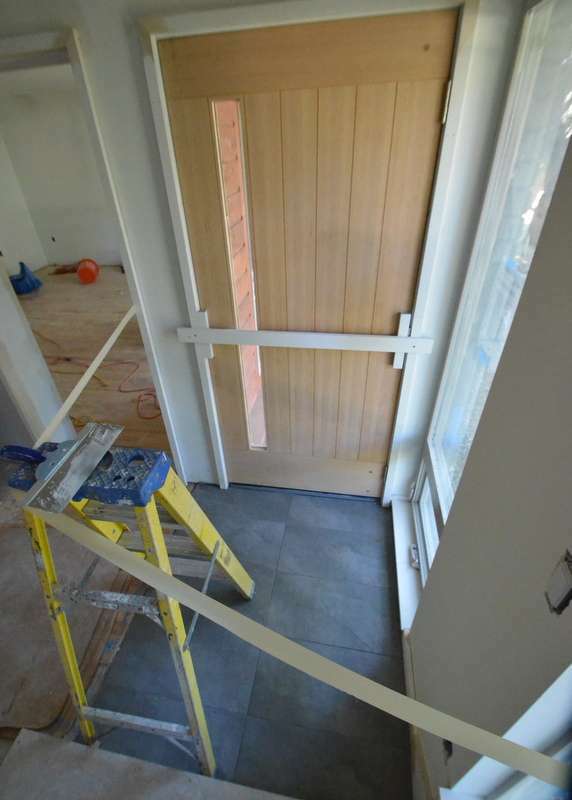 At 2 pm, the tilesetters are gone and the tile has been replaced — and is cemented into place, along with the two tiles closest to the front door. 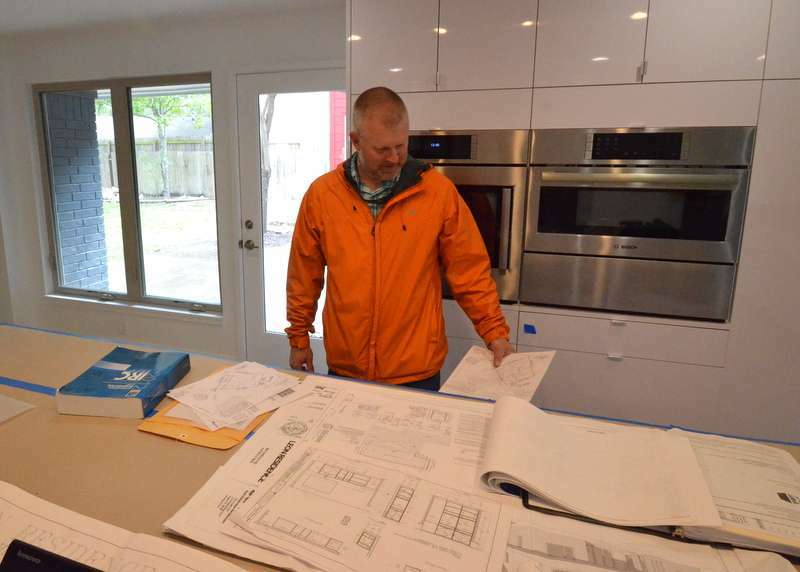 In between the 10 am and 2 pm trips to Emerald Hill, Steven received the first quote for the two-bay garage door from Cowart Door Systems. 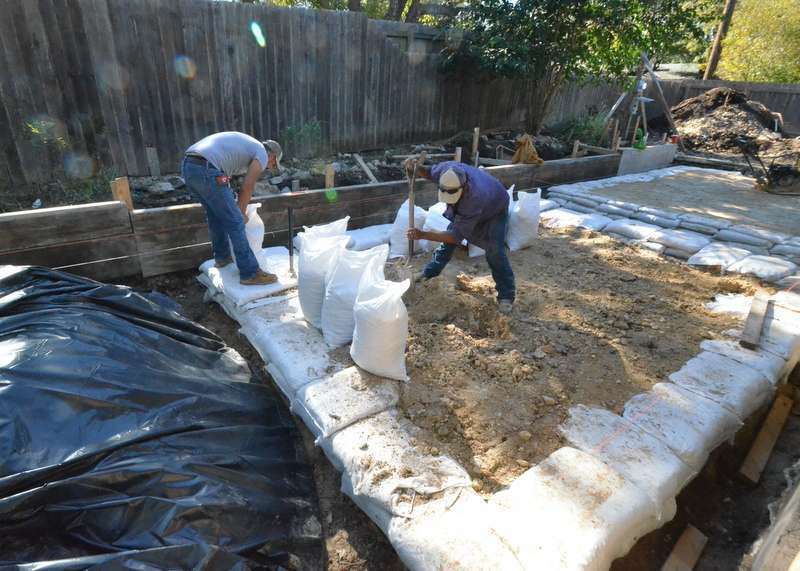 At 10 am, Cezar Ernesto, left, and Ernesto Jovini are packing sandbags with roadbase for the middle island of the new garage foundation. 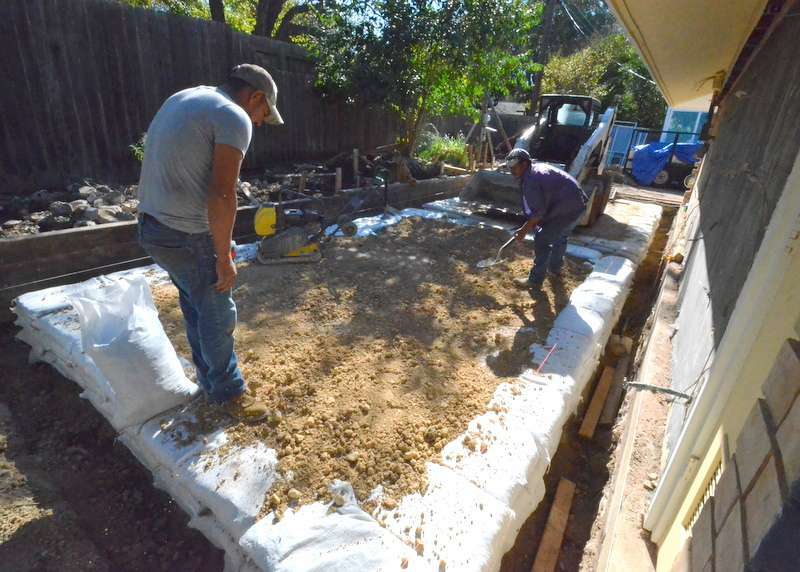 At 2 pm, after compacting the roadbase in the center of the island, they are checking for loose fill and filling gaps. At 230, they are compacting again. At 4 pm, the middle island is finished. 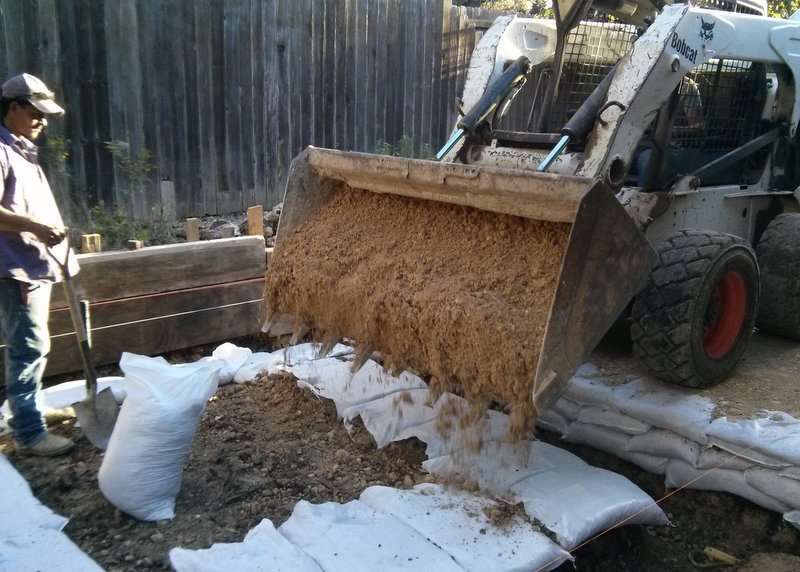 Cezar and Ernesto have begun to form the third island with sandbags and use the Bobcat to deliver more roadbase. 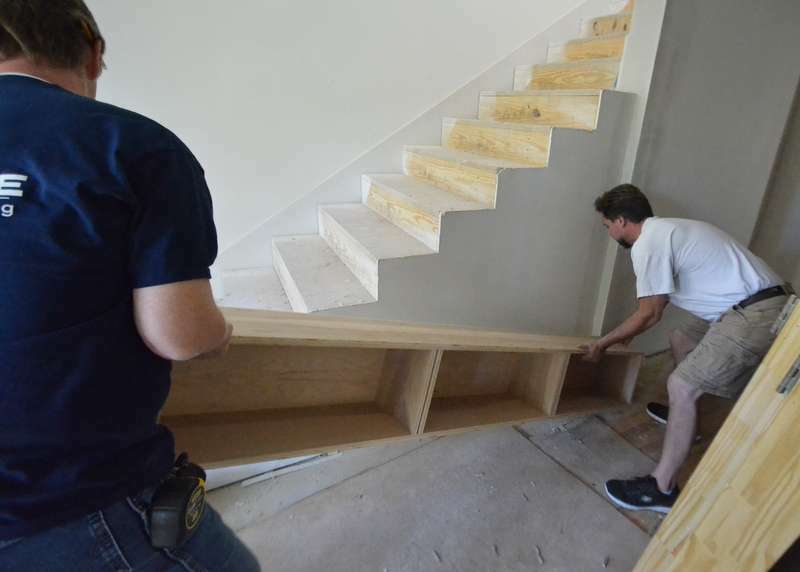 At 230, Aaron arrives from the cabinet shop to test fit the horizontal storage bench that will be installed in the front entry. Ron helped Aaron pivot the bench into position while Steven stood back to use his hands to take this photo. 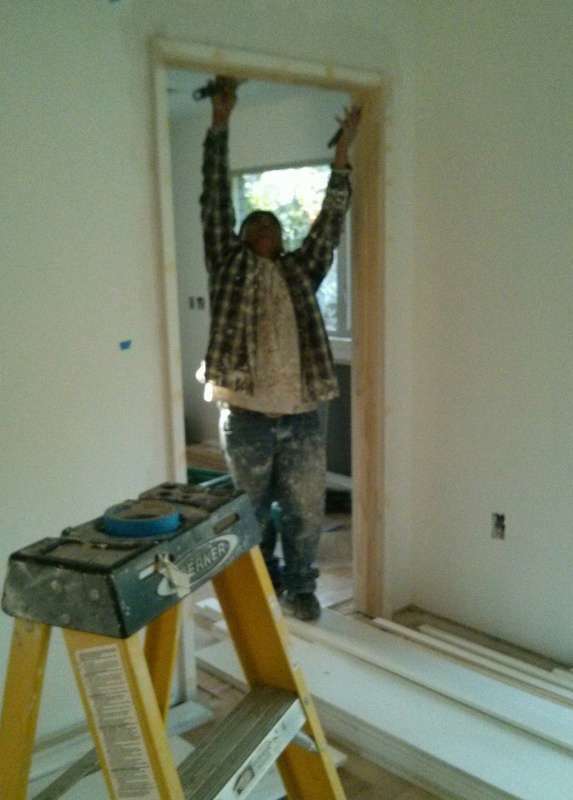 At 4 pm, Enrique on the painting team is using wood putty to file all the nail holes in the trim installed by Shane and Peter, the carpenters. This photo was shot with Steven’s cameraphone, which opted to almost focus on the ladder in the foreground. 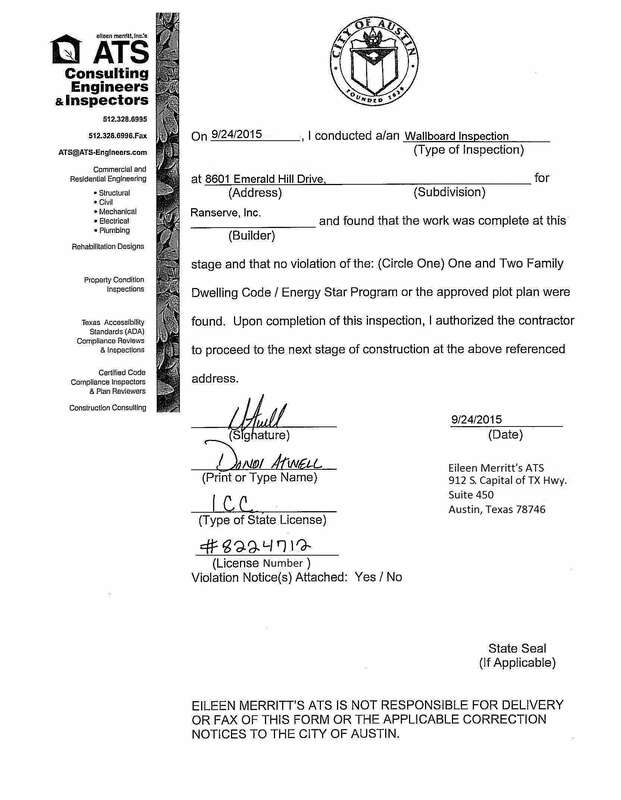 At 4 pm, Kathleen reported by email that Ranserve had received the wire transfer payment of Draw #5 from SouthStar Bank. 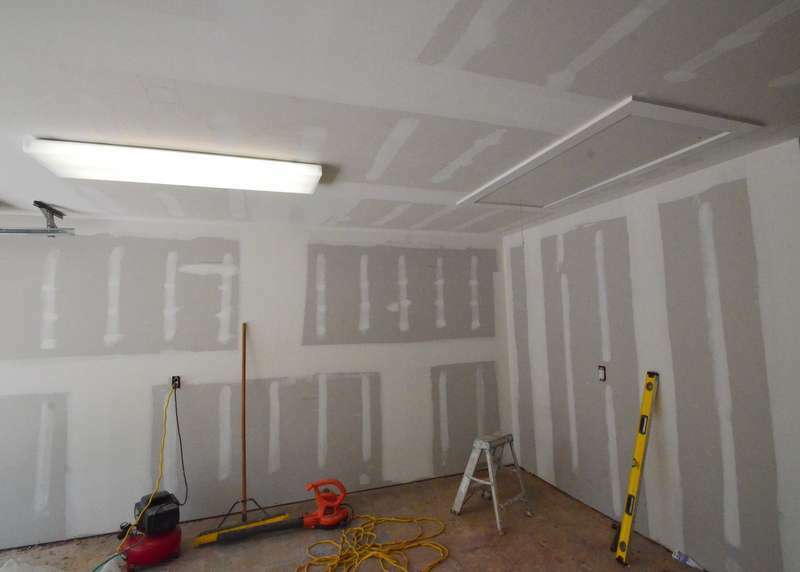 At 530, by email, Ron Dahlke reported that ATS inspected and passed the wallboard installation.